Picture yourself taking the cruise of a lifetime, accompanied by cruising-instructors and a vessel that will allow your sailing skills to flourish. 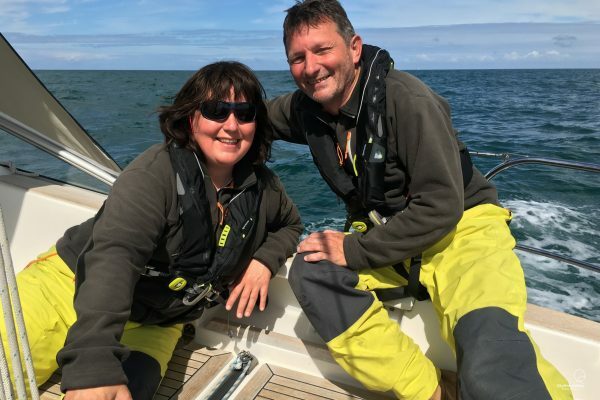 Kurt and Anita offer cruising and sailing enthusiasts the opportunity to sail in comfort and safety in waters you will never forget on their well maintained and cherished Hallberg-Rassy 43, i dolci. skippered by at least one certified skipper/sea-sailing instructor. Be welcome and take the test! Offering our guests a memorable active cruising experience in comfort and safety, taking into account wind, waves and their wishes! 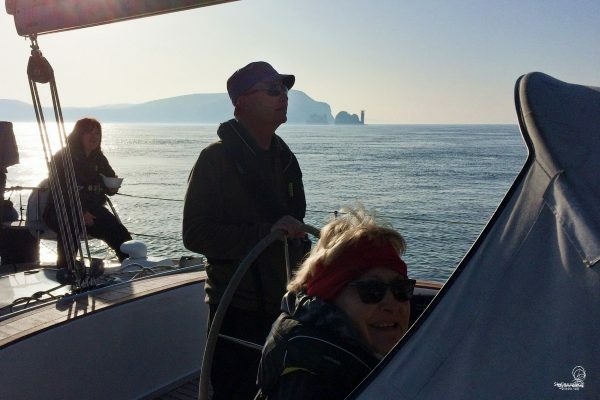 Enabling our guests to discover and explore the challenging British, French, Belgian, Dutch… waters, their spectacular islands and coastlines, as well as remote or historical locations while sailing on a comfortable sailing yacht. Offering our guests their own front cabin with toilet, shower and lavatory in a reliable, durable, very comfortable and fully-equipped Hallberg-Rassy 43 yacht, accompanied by one or two certified skippers/instructors. 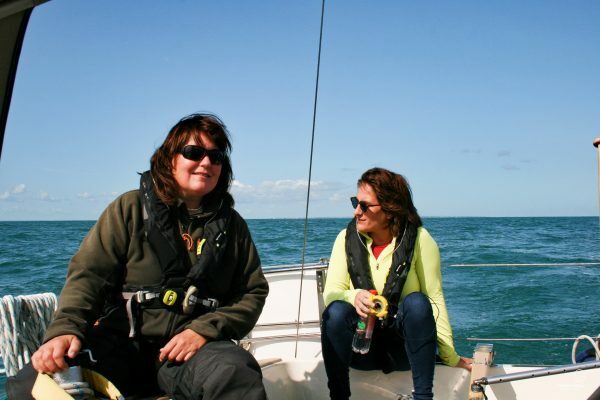 Both love to bond over their love for sailing while exchanging stories and insights. Anita and Kurt will build a personalized program for each individual. 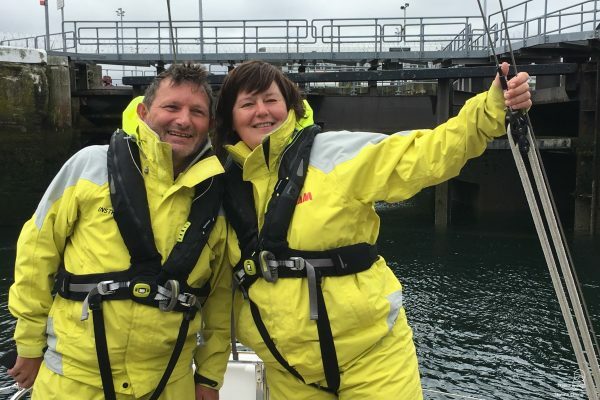 They will answer any questions you might have, being dedicated to supporting a great active-cruising experience. Kurt started sailing early in his childhood, whereas Anita took up sailing later. This happened thanks to Kurt, who kept on encouraging Anita to start sailing. He did so by taking Anita out on a sailing boat every now and then. Finally, Anita decided to learn to sail by attending several sailing schools, which served to enrich her practical and theoretical knowledge. Taking the opportunity to join Anita right from the start, Kurt’s skills continued to develop as well. In retrospect, it seems they were destined to become passionate sailors and sea-sailing instructors! 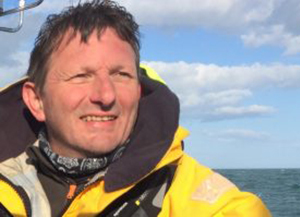 From 2008 onwards, we both became very passionate about enhancing our sailing expertise. With every possible holiday or weekend, you could find us either at sea or in a classroom. 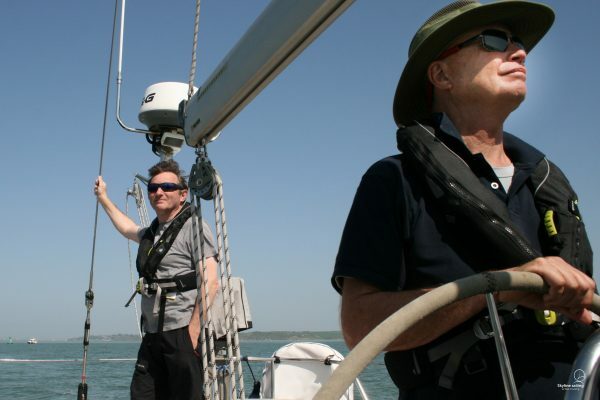 End of 2010, we started to take lessons in order to become sea-sailing instructors ourselves. 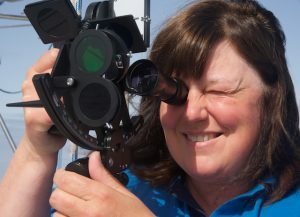 Looking to become as accomplished as possible, we gained a great deal of experience from sailing in the tidal waters of the Channel and the North Sea (UK, France, the Netherlands, and Belgium) as well as along Irish and Scottish coasts, but also in the non-tidal Mediterranean (Turkey, Italy, and Corsica). 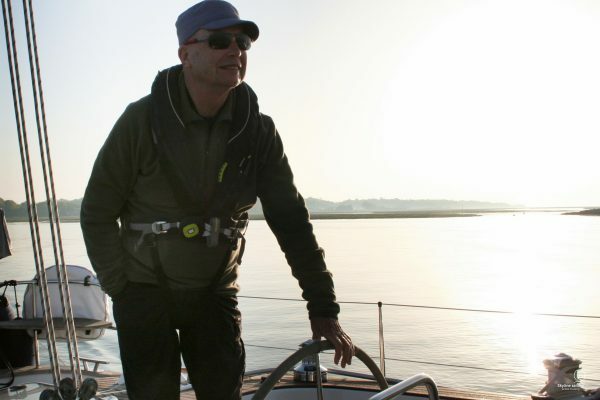 So many memorable trips, undertaken with a variety of very experienced sailing instructors or sometimes just on our own. 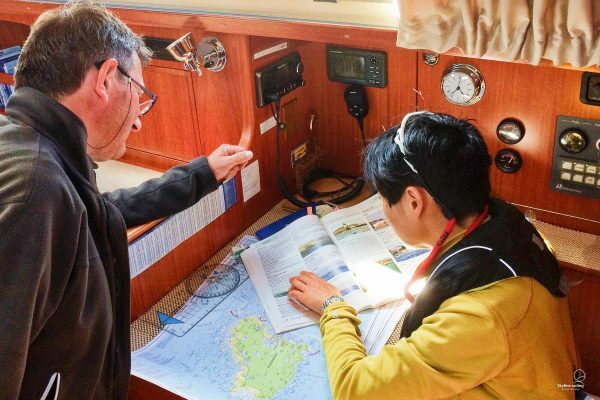 Later, we were asked to step into the “instructor” path ourselves, which allowed us to continue refining our sailing skills even more together with learning the best practices on how to transfer such knowledge and abilities to others. 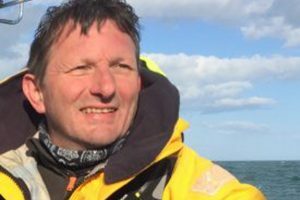 This new adventure as sea-sailing instructors began in 2011, allowing us to impart our skills and knowledge in the tidal waters of the North Sea and The Channel (UK, France, the Netherlands, and Belgium) via the Sea-Sailing School in Belgium (Vlaamse Vaarschool). This led to further sail-training on our I dolci since 2014. 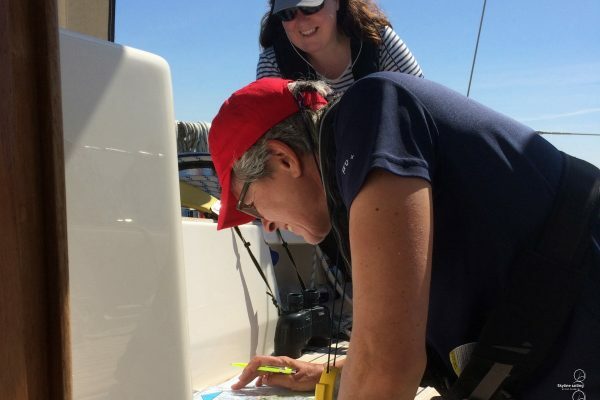 With stepping into the “instructor” path, we were gifted with the time and focus to refine our sailing abilities even more, while coming to appreciate just how such knowledge can be transferred for the enjoyment and benefit of others. In line with Belgian and international regulations there are very strict rules for yacht and skipper when paying guests are on board. Skyline Sailing want to comply to those rules and go beyond when it comes to safety. o Fire Prevention, and Fire Fighting. Active cruising in comfort and safety, taking into account wind, waves and your wishes!